1,000,000,000: number of thanks to everyone who made this possible!!! When I was little, my mom read about a neighborhood in my city that builds a gigantic wall of illuminated jack-o-lanterns every Halloween. My family and I went to check it out, and we were amazed by what we saw. The wall made a huge impression on me. When I grew too old to trick-or-treat, my family and I decided that we wanted to build a pumpkin wall of our own. We bought some construction scaffolding, planks of wood, black spray paint, and outdoor Christmas lights and constructed the six foot tall structure in our front yard. In the first year, our wall held roughly two dozen pumpkins carved and donated by my family and our neighbors on our street. The next year, the wall held closer to thirty pumpkins. 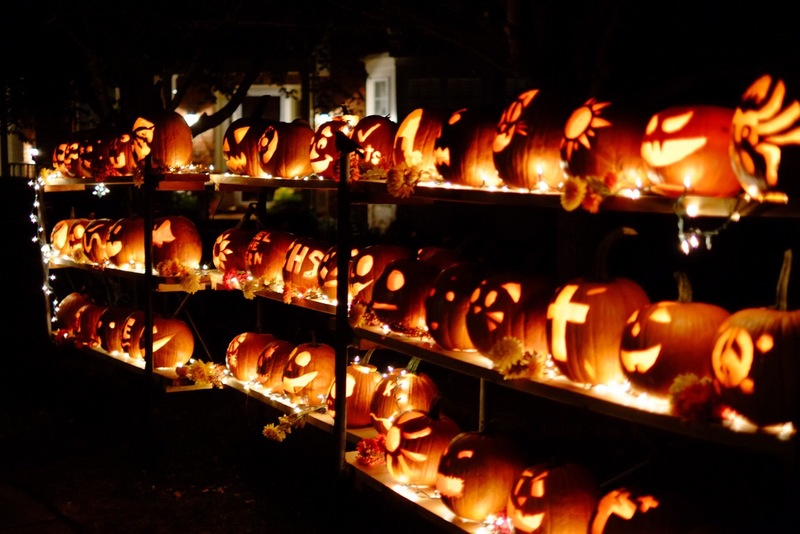 This year, it displays sixty carved pumpkins. We even hosted a carving party for friends and neighbors in which we provided pumpkins to be carved (we were able to buy them in bulk with a price break at a big box store). From the beginning of the pumpkin wall project, we linked it with FARE (Food Allergy Research & Education) so that we could raise awareness about food allergies and the difficulties faced by food allergic kids when trick-or-treating. 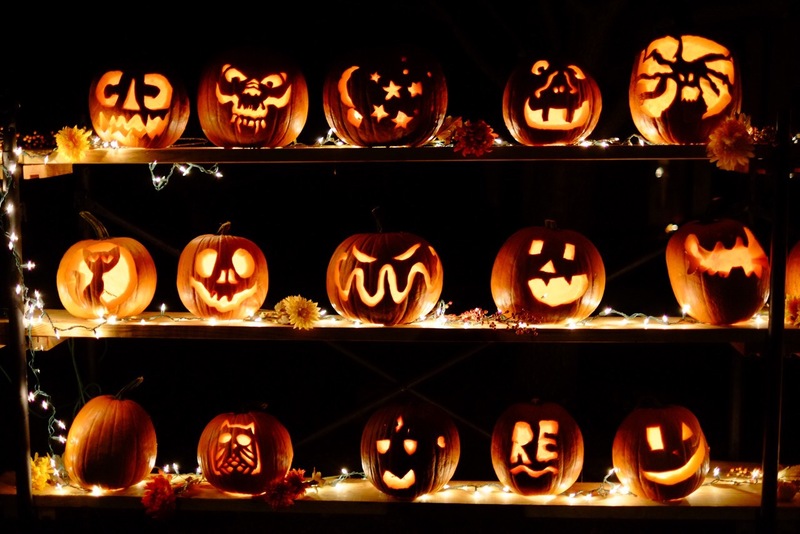 We asked people to donate a carved pumpkin and/or a small monetary donation. As the wall grew, my food allergy story spread to more and more people. The word circulated around my neighborhood and every time someone stopped to stare at the wall, I would tell them about food allergies, and how they had always been difficult to handle on Halloween. 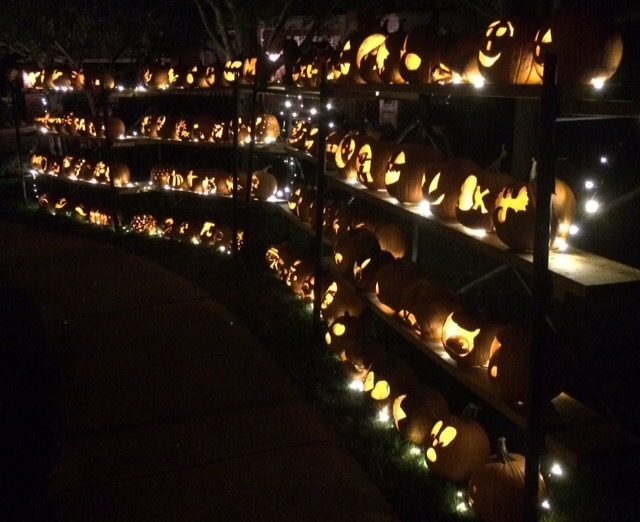 Now our pumpkin wall has become a treasured neighborhood tradition that also supports a good cause!